Some may say they have been there done that w/ Jim Collins. Especially bloggers. But I still am a fan. I mean, you’d have to admit that Good To Great did kinda turn HR over a bit…it a good way. Albeit it years ago. Right seat on the bus and all that. Some of the bloggers though are still frustrated that years later HR pros still put strategy first; people second. To the point of eye rolling. To the point that they don’t even want to hear Jim Collins anymore. 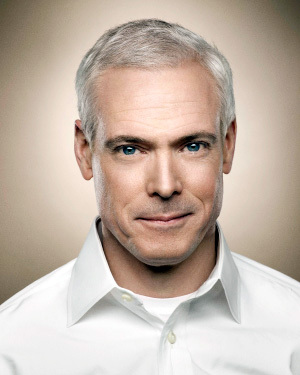 BUT, Jim Collins is still making a zillion bucks telling HR what HR should have gottent years ago. People decisions are the most important in any corporate world. Especially the HR World. Until HR gets this… Jim should continue to preach it. I am lucky my CEO (Daxko), Dave Gray, has gotten this for a long time- so we are ahead of the curve, and frankly I don’t have to pitch this too hard (if at all). That’s why I wanted and (hopefully) got my job. The VP of People (me) and the CEO (Dave) are sympatico. So, Jim still is asking the 16K audience at Shrm12 (of which 14K of these HR folks seem to be hearing these concepts for the first time) “what makes a great company tick? What marks the people who lead them?” He suggests studying failures to see what makes a company tick. Studying success is a waste of time. However when you study the contrast between success and failure, that’s when corporate breakthroughs happen. I do think the study of failure is much more interesting, but freakishly hard to do. Greatness is not a function of circumstance, but of conscious choice and discipline. Disciplined people decisions are the most important corporate decisions. Humility is the X factor of great leadership. Leaders should aspire to be the dumbest person in the world. Quit trying to be be interesting and start trying to be interested. I think that says it all. You arrogant leader.